protein called ‘Carotene’ it is produced in the head. There is a jelly called folliclin present in the surface of the upper region of the head. It is the jelly that produces the hair. The cells present in the hair roots are very active by nature .We also find oily cells which gives shine and glossy to the hair. Whenever there is some defect or problem in three layers of the hair, then the hair starts falling as a result it gives rise to baldness. It is normal for 50-100 hair strands to fall in a day, however more than this it is a sign of some disease prevailing in the body. We can divide the structure of the hair into three parts. The region of the cortex gives form, shape, quantity and length to the hair. There is a different pigment present in this region which is responsible for giving us different colors like black ,brown and red. As we grow, the quantity of the pigments reduces. This is responsible for the growth of white hair. It could be due to heredity that a person might get white hair or it falls in an untimely manner. It is present in our genes also. In such a scenario it is impossible to get some kind of remedies to prevent white hair or falling of the hair. It is quite naturals for some strands of hair to falls from our head, however if we see more hair falling in bunches, then it is a sure for us to be alert. Causes 1 When there is lack of the elements like silicon, iodine, chlorine magnesium etc. and lack of protein, Vitamine-B,VitamineE,Vitamine-A,.All these help in reducing falling of hair. 2 The hair is damaged while colouring,perming and straightening at a beauty parlour. 3 In the cases of an unwanted flow of the hormones, at the commencement of the menstrual cycle when there is less of estrogen and progestrone, there are chances for the rate of hair fall to be increased. Apply the oil of the mango seeds and this would help in changing white hair to black coloured.The black hair would not be white also. It helps in reducing the dandruff and hair fall also. One should eat cabbage, onion, lettuce, cucumber, bottlegourd,carrots and turnip. all of them have proteins like silicon, cysotene, chlorine, calcium, systin, iron, iodine. These are important for the growth of the hair. One should eat apple, papaya, guava, pear, banana, orange, mausambi, etc during the breakfast. Sprouts like gram, lentils, yellow gram, groundnuts, etc should be consumed. It is beneficial to eat curd, Soya bean, lemon, butter milk, goose berry and honey. Consume rotis prepared from bran. Consume the paste of goose berry,coconut,ginger,garlic and coriander. Spicy and oily food Tea, coffee and sugar Gram flour and refined flour Chocolate and toffee Food from the external sources should be avoided. Every human being sweats. Sweating is a good sign for the skin but some people sweat, they smell bad. Their sweat has a odour which compels people to run away from them. Not that they are not aware about the odour. Such people sometimes suffer from inferiority complex. This article is specifically for people with body odour. It is seen that after doing a certain amount of physical work people sweat a lot. In fact their clothes get drenched in the sweat and bad smell starts coming from their body.Actually it’s a wrong belief that sweat smells. The reality is that sweat does not have a pungent smell but it does have some mild odour. After drying of sweat the organic matter left is attacked by the bacteria and they multiply in numbers. These bacteria live on the skin and become active whenever given a chance. This results in bad odour from the body. After tough physical exercise, the acryin sweat glands found all over our body become active. Any kind of physical exercise makes these glands secrete a lot of water as compare to organic matter. As a result bacteria in that lives on the skin cannot become active most of the time and there is no bad smell. But when a person is tensed, nervous, angry or aggressive the body secretion of epocrime sweat glands increases. Such glands are found in a few areas of the body like underarms. Such glands secrete cold water, this way the organic matter is left back on the skin and the bacteria gets a chance to multiply and spread bad odour. People wearing tight fitted or synthetic clothes smell the most as bacteria gets a better opportunity to multiply.An important factor about these glands is that they start multiplying when a person enters teenage and follow them till they reach adulthood. Later these glands become inactive. Normally it is said that men secrete sweat with bad odour and women secrete sweet smelling sweat. It has no basis. Both genders secrete similar sweat. Some people use antiperspirants or deodorants to get rid of the bad body odour. Antiperspirants are used to stop the sweat from secreting and deodorants are used to stop the bad smell in the sweat. Deodorants normally help in increasing the bacteria present and antiperspirants kill the bacteria but at times the skin gets irritated by it and might face allergy. Why does the sweat stink? When sweat is secreted from the skin pores it is odourless. Sweat secretes urea, salt, protein and fat with it. If the sweat on the skin does not evaporate, the bacteria, fat and protein present in the sweat get activated and turn the sweat into ammonia. This is the reason that sweats starts stinking. Human skin has at least 20 lakh sweat glands underneath. These sweat glands help secrete sweat. Every gland has small minute tubes. These tubes open up on the surface of the skin. Through these glands This is very true for glands within the armpits and groin and on the palms of the hands and soles of the feet. once the sweat comes involved with bacterium on the skin, it will manufacture associate odor, which can be stronger in some individuals than others. So the way to handle sweat? Take a shower or shower daily. If you are disturbed concerning smell, use a toiletries or a toiletries with toilet article (a toiletries masks odor, whereas associate toilet article helps decrease sweating). It also can facilitate to wear garments made from natural fibers, like cotton or linen, particularly within the summer heat. Pads referred to as underarm shields or dress shields also can facilitate absorb sweat and stop embarrassing underarm stains. These pads attach to the bodily cavity space within an individual's garments wherever they absorb sweat. you'll be able to purchase them within the underwear departments of the many shops and at some specialized sports stores. Some teens conjointly keep an additional shirt in their lockers in order that they will amendment at college. If you continue to worry concerning your sweating, seek advice from a doctor. often sweating an excessive amount of may well be a proof of a medical downside. Stronger toilet articles ar currently out there with a doctor's prescription — your doctor might imagine a prescription-strength antiperspirant would possibly assist you. Using these simply out there home remedies will go a protracted method in serving to to urge obviate shrewish malodorousness and keep you contemporary throughout the day. Vinegar are often effectively accustomed management body smell. It helps amendment the hydrogen ion concentration of the skin in order that the odor inflicting bacterium cannot thrive. Vinegar are often employed in varied ways in which to regulate malodorousness. Apply vinegar with water below your arms to stay it dry and reduces underarm smell all day long, and it really acts higher than toiletry. Store vinegar in a very sprayer and spray it below your arms to scale back body smell once having tub however don’t use toiletry once exploitation vinegar. Some individuals soak their feet in a very dilute vinegar answer to treat foot plant and this acidic setting conjointly discourages the bacterium that contribute to malodorousness. Baking Soda will absorb sweat and scale back malodorousness by reducing wetness from the skin. It kills bacterium and acts sort of a natural toiletry. sodium hydrogen carbonate works effectively for treating uninteresting, limp hair and its adds volume and shine to hair strands additionally. There square measure varied ways in which to regulate malodorousness by exploitation sodium hydrogen carbonate. a mix of sodium hydrogen carbonate and juice is admittedly effective after you apply it to your underarms and alternative body elements wherever you sweat vastly. 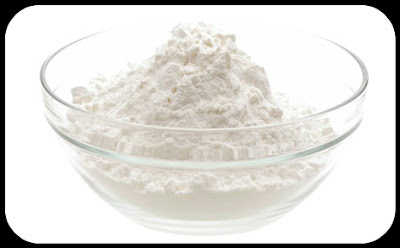 Cornstarch is associate absorbent ingredient which may absorb even over sodium hydrogen carbonate. you'll apply the mixture of cornflour and sodium hydrogen carbonate once taking tub to regulate underarm smell. you'll use this mixture on to your dry underarms to forestall sweating, additionally as unhealthy odor of your underarm. It will offer you protection for many hours. Rosemary herb has wonderful advantages during this regard. It contains application and chlorophyl that helps vastly to forestall the expansion of odor inflicting bacterium. it's wide employed in Italian cookery and may kill bacterium and fungi. It acts as a natural toiletry that reduces robust malodorousness and conjointly lends a pleasant fragrance to your body. The presence of Zn in it conjointly aids to scale back unhealthy smell of our body. There square measure other ways to use rosemary to regulate malodorousness issues. 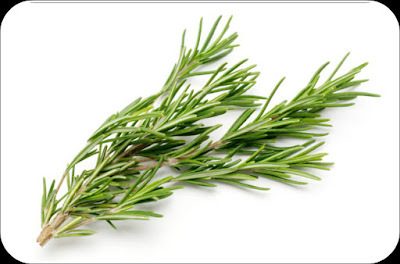 to urge a awfully effective result, take 0.5 a cup of dried rosemary leaves and add it to four cups of water. Then watch for generally and apply it to the water of your tub. Rosemary dried powder conjointly helps fight malodorousness and keeps you sweet-smelling throughout the day. It is associate medicinal drug herb which may forestall bacterium from thriving on your skin, and it reduces sweating. It acts as a natural toiletry that belongs to the rosemary family containing associate hydrocarbon, natural resin and volatile oils like diosmetin, luteolin, apigenin and rosemarinic acid. By exploitation sage herb often, you'll scale back malodorousness, and there square measure various ways in which to use it effectively. Mix some sage oil with olive oil; apply it to your underarms to scale back underarm smell. Use sage herb as a body wash by combining it with water however forever wash your hands once exploitation sage herb. 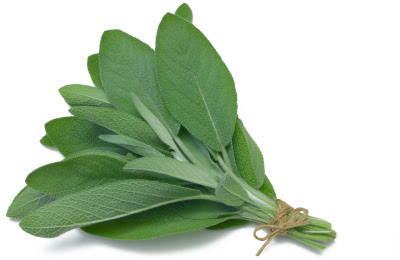 The drinking of sage tea conjointly helps plenty to scale back sweating.Keep yourself contemporary and sweet-smelling and say adieu to embarrassing malodorousness with these natural remedies and don’t forget to share your beauty tips with North American country. Vinegar vastly helps to regulate hydrogen ion concentration level of the skin and apple vinegar could be a well-known ingredient that fights against bacterium. Raw, unfiltered apple vinegar is admittedly helpful to our health, and you'll conjointly drink it for higher results. you'll use it in varied ways in which to regulate malodorousness issues. By adding a cup of apple vinegar in your tub and soaking it for 8-10 minutes, you'll simply cure sunburns, and it conjointly aids to fight against bacterium inflicting malodorousness. 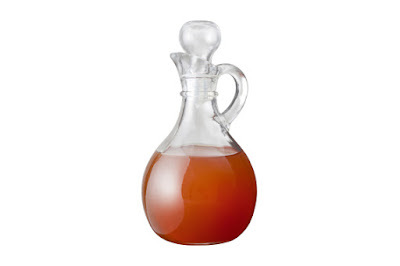 Mix apple vinegar with water and have it 3 times before meals daily to scale back excessive sweating. Add apple vinegar with heat water and soak your feet during this water for quarter-hour to scale back the amount of foot odor. 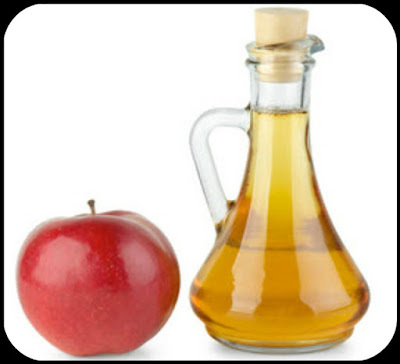 Rub your underarms with apple vinegar before having a shower to regulate underarm smell, for best results. The acidic property of juice helps lower the skin’s hydrogen ion concentration level that helps vastly to fight against body odor-causing bacterium. 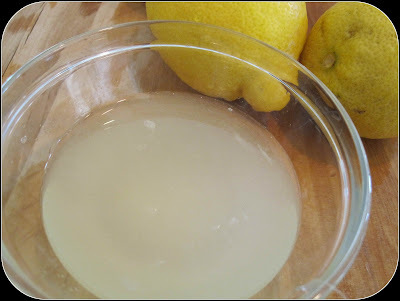 Lemon could be a natural bleach that helps in removing suntan too. additionally to all or any these advantages, it are often utilized by even those that cannot tolerate vinegar. you'll use it in varied ways in which to forestall malodorousness. Cut one contemporary lemon into 2 halves, and so take half of the lemon and rub it below your arms to scale back underarm smell. Those who have sensitive skins will dilute the juice from 0.5 a lemon in one cup of water and apply it to your underarms with the assistance of a plant disease and you'll see the advance if it's used on a daily basis. The increasing popularity of Ayurveda Medicine , an increasing number of Americans in this age-old system of medicine that play an essential role in the health benefits of herbs are discovered. This is a brief article such as this venerable tradition of healing is impossible to even scratch the surface, but the Ayurveda Medicine herbs Ayurvedic Herbal Pharmacopoeia for heavy to offer a respectful nod, and explore some of the more well is within our reach for the medicine cabinet are finding their way into the famous ones. , Ayurveda is an idea, "What heals, it stops." Specific physiological systems and processes to provide targeted nutrition can also serve as effective in treating specific conditions herb "food". For example, turmeric (Curcuma Longa), is popular for its anti-inflammatory properties, also consistently prevent disease and maintain good health by people looking for a dish that can be eaten as a condiment. That is not the case with allopathic medicines? Another major Ayurveda Medicine idea is that there is harmony in nature. Keep it in mind as we separate and herbs is important to study the specific component compounds. It is useful to understand the properties of individual plants, herbs generally be aware of the many rather than the single effect. In Ayurveda, Asian as other healing methods, herbs are rarely used in isolation. Rather, they balance and components designed to suit the properties of herbs in standardized but individualizable sources are combined. Ayurveda Medicine herbs are used for several reasons: to maintain overall health; To boost immunity; Supports mental clarity and focus; To calm the nerves; To improve digestion; Protects the body from toxins and to support the detoxification process; And natural healing processes to support. The name of this shrub roughly translates as the medicinal root has been used for thousands of years "aashwa_plant .". 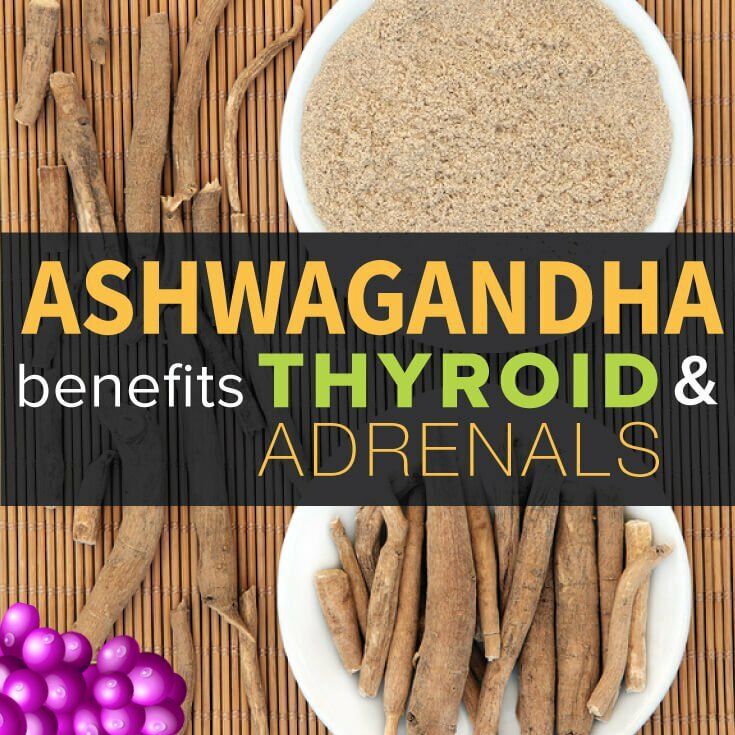 Ashwagandha contains the property described in classical Ayurveda: Medhya (intelligence and promotes cognitive development), Balya (increases strength and recovery), chemicals (rejuvenator or extend the life substance) and Nidrajanana (promoter of sleep). Today, Ashwagandha without heart stimulant best known for its ability to boost energy and stamina are. As a body balancing herb, it also addresses insomnia. Ashwagandha has also been shown to increase production of thyroid hormones T4 and T3 while simultaneously increasing hepatic glucose-6-phosphatase activity and reducing hepatic lipid peroxidation in animal models As we learn more about the co-morbidities between hypothyroidism, hypercholesterolemia and diabetes, Ashwagandha may one day play an important role in the management of these inter-related conditions. 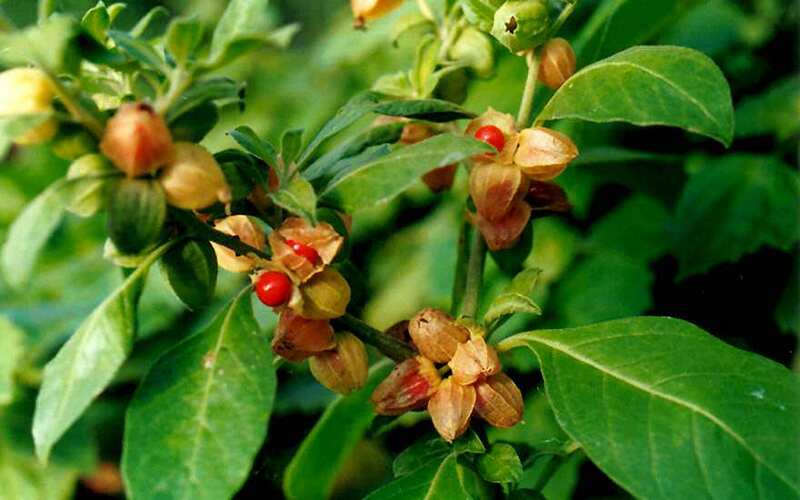 Most commonly, Ashwagandha is dispensed in doses of 500 mg once or twice daily, before meals. Maximal responses are generally seen within 2-4 weeks of regular use. throat to the sound-generating organ. In this way, throat is an important part of our body, with which many important processes take place in our human body. In case, there are any kind of disease occurring in the throat then our lives would be in damage. 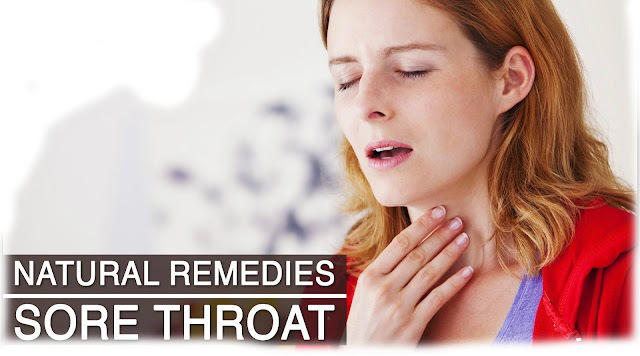 It has been generally observed that people have swelling in their throat; there are some problems with the sound box and experience the pain in the throat. In such situations, the person suffers from high fever, complains about the constipation's, passes out thickened urine which is yellow in color, experiences pain in the back and complains about the headache also. Apart from this, the person complains about the pain in the whole body and cannot speak properly, the tongue is unclean and there is a foul smell in the breathing. Slowly the pain in the throat spreads to the ears also and lot of pain is experienced while the person consumes something in the form of liquids or solids. : One can see the swelling present on the inner side of the throat. This is present when there is a collection of poisonous elements at the opening of the throat. The poisonous bacteria develope in this part of the throat and are responsible for the swelling in the throat. When a person suffers from tonsil, in the both sides of the entrance part of the throat, there is the development of muscular notch which keeps on increasing from time to time. fever accompanied in the person suffering from tonsils. The person even has difficulty speaking. There is itching in the throat accompanied with the cough. also suffer from this disease if they consume stale food, live in polluted environment and in cold places. while speaking. The lump in the throat increases more and more. The person has blisters in his throat. He might even suffer from syphilis. There might be irritating itching sensation, tingling feelings, and overflow of the saliva, dry skin, cough, and some sort of irritation in the throat. The patient cannot breathe properly and finds it difficult to swallow through the mouth. When the patient starts coughing, it appears as though there is some kind of problems in the lungs. However, it is not the case. excessive speaking, smoking, consuming alcohols, breathing in of poisonous gases, eating lot of fried and oily food, cold things, speaking in high pitch, mimicking different sounds, constipation are responsible for tonsils and irritation in the sound box. 1. A person should consume Borax mixed with pure honey for diphtheria. 2. There has to be some kind of greasy substance in the throat of the person and the patient should gurgle with warm water. 3. One should gurgle with salt added to the warm water. 4. Grind the basal seeds with honey. This mixture should be consumed so that the smelling can be reduced. 5. Prepare decoction of black pepper and horse bean and add honey to it to get the benefits. little bit of honey to it. Gurgle with this water to get the benefits. 8. Laryngitis would be taken care of if a person chews the candy sugar or liquorice or cloves. 9. If there is defect in the sound, the person should chew black pepper and candy sugar. 10.One should consume a nicely ripened mango which is baked in the fire in order to cure dry cough. 11. Take 2-4 grams of lentils powder, swallow it and then consume sugarcane juice. 12.The sugarcane should be roasted properly and then consumed in order to irradiate the sound defects. 13.Burn the onion in fire and mash it properly. Take 250 grams of fried Borax and mix it with the mashed onion. This will allow the person to regain with sound defects. 14.Take the roots of the drumsticks, prepare decoction of it. Gurgle with this water to remove sound defect. 15.Mix Shatabar, Kharaiti, and sugar in honey, mix them properly and consume it. 16.In order to remove various disease of the throat, one should consume grape juice and its syrup. 17.One should consume 1 gram of powered lentils with 10 mL of dakh juice on a daily basis to remove the throat disease. 18.In order to be free from the inflammation of the glands of the neck, one should grind the leaves of the wood apple, prepare a small ball of it and tie it on the neck. 19.Grind the leaves of the bhangara and fry it in ghee and the mixture should be tied on the neck to get its benefit quickly. 20.Take the husk of the rice and grind it along with the roots of the bharangi and applied it on the neck to remove the inflammation. 21.Take 5-10 grams of coriander seeds and chew them at least 2- 3 times in a day to be free from the agony. 22.Take some 10-15 mL of black plum and consume it on a regular basis to eradicate the neck disease. Take 10-20 grams of the external bark of the Kachna and mix it with 400 mL of water. Prepare the decoction of this and consume 1/4 of this to remove the inflammation. 23.In order to remove the swelling of the throat, one should consume the fruits of the Kantkari and 10- 20 grams of its juice with water. Take 50 grams of powdered trikut, 20 grams of powdered bhahera, 10 grams of Pisti. Mix all of them together. The aged person should consume only 1 gram of this and a child only half gram of the mixture on empty stomach with honey both in the morning and evening times. The continued consumption of this will help in giving relief from thyroid and kids will be free from tonsils. oranges as much as possible in order to fight against the contagious bacteria and other micros present in the throat. 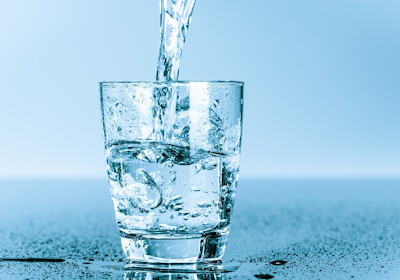 A person should not drink cold water at all. The person should avoid fried and oily food and should not drink water after it. Too much of sour food should not be consumed. Person should not consume tea or coffee. One should stay away from junk and fast food. The person should not even consume tobacco, fine flour and gram flour. The person also should not eat chocolate, biscuit and bread. They should eat lots of fruits, vegetables as much as possible along with sprout and salad. 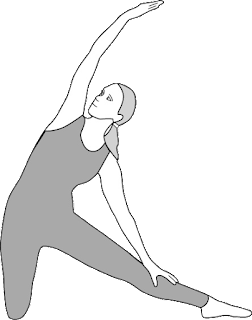 : The person should do yogic exercise, meditate and do pranayama on a daily basis. This would ensure that that the person is healthy, free from various kinds of diseases and is protected from them.